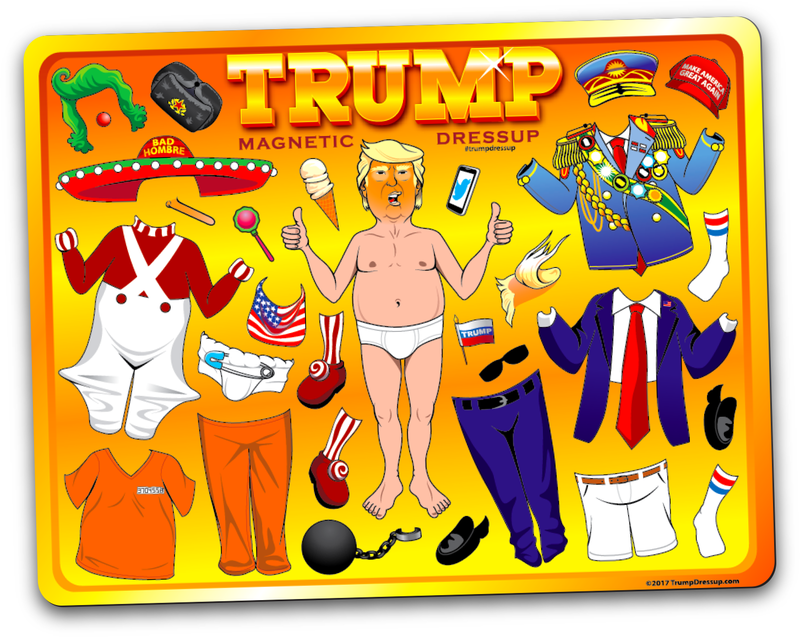 You’ve played the online game, now Magnetic Trump Dressup for your home. You’ve played the online game, now these presidential 11″ X 8″ magnet kits have been hand designed and finely crafted specifically for your play-time-fun enjoyment. Incredibly safe and secure with Paypal. Orders of two or more sets are sent out 2 Day Priority (Flat Rate) mail. All others are sent out USPS First Class. International orders are sent out Priority Air Mail. There is no quantity limit to how many sets you can order. For additional shipping information or if you’d like wholesale prices to carry these in your store please contact me directly.